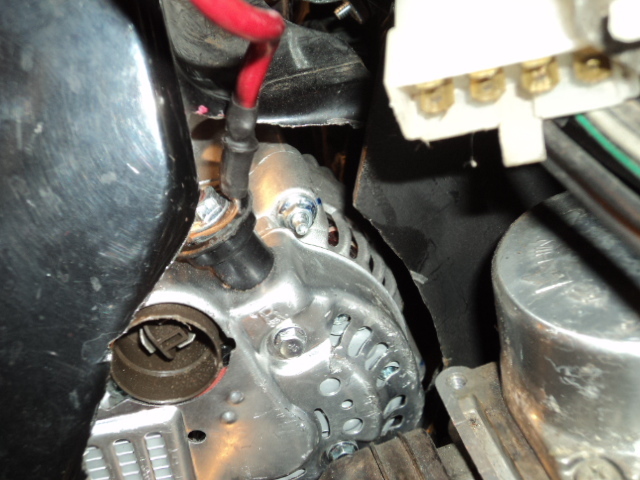 This is the second alternator that I have put on a GL1100. 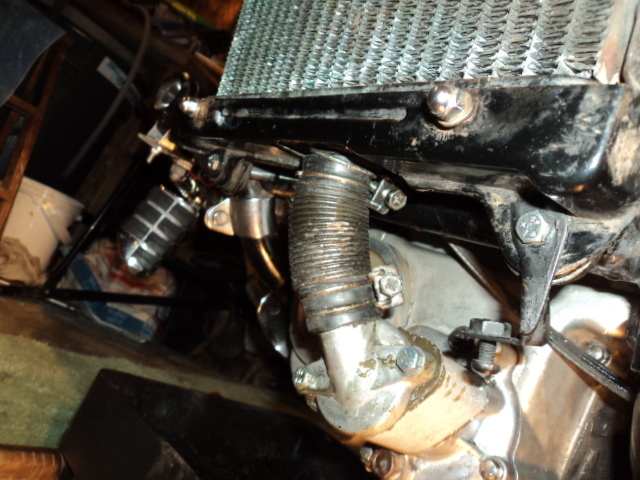 I feel it is one of the best things I have done to the 1100. 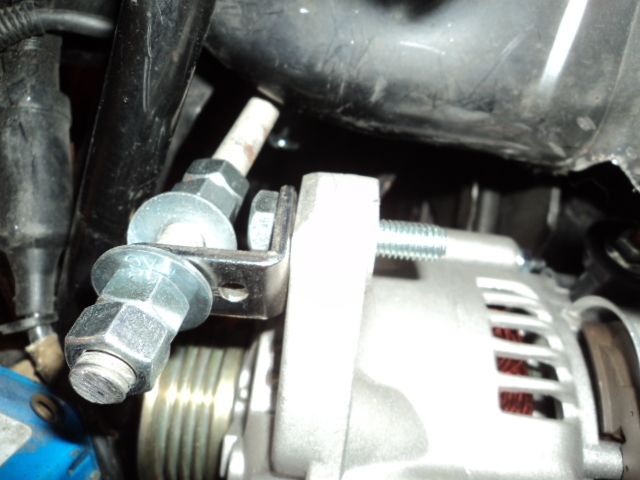 Since I had installed one alternator I found some little things to make it a bit better. This project has none of my ideas. I scoured the internet and used the best of what I found on different threads on the poor boy conversion. There are a lot of people who have given their ideas to make this conversion doable. The first thing I did was to put all the new parts out. 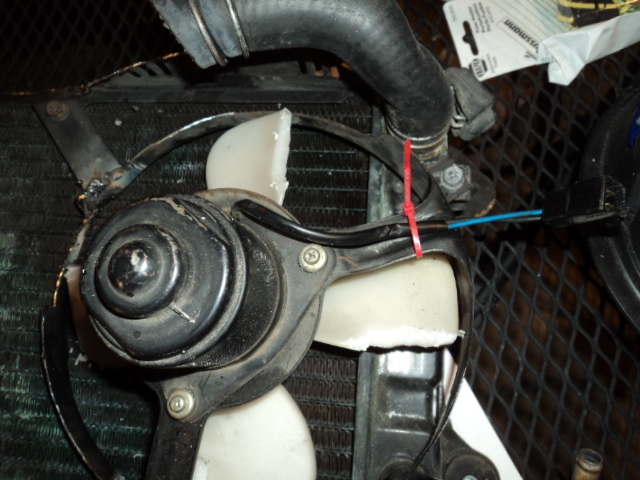 Alternator 14684N. I had to cut the one leg off it. 8 Ft of #8 gauge wire. 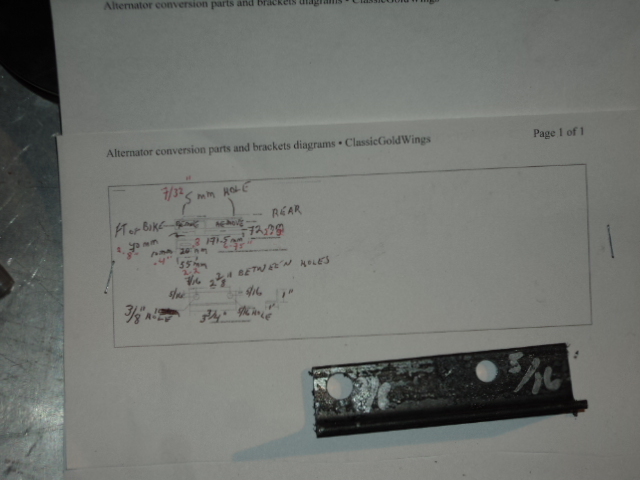 40 Amp self resetting fuse. 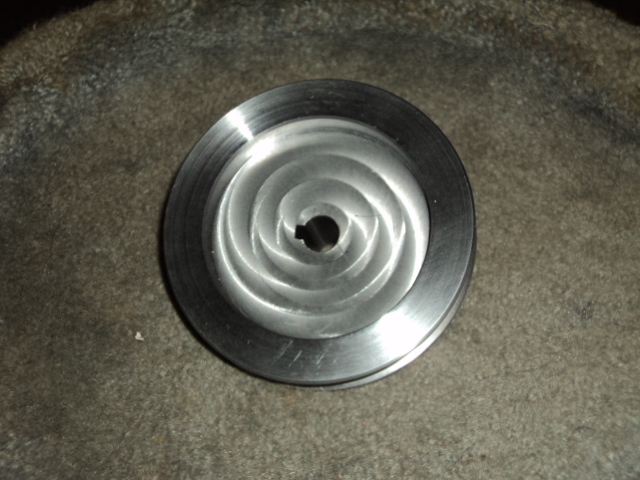 4 inch steel pulley. I had a local machinist make this. 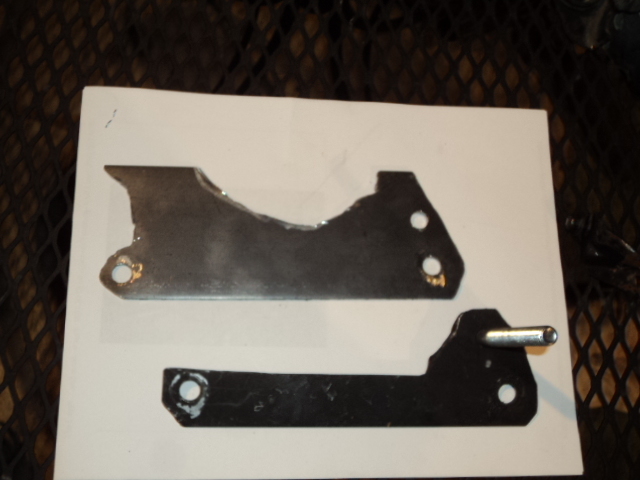 That is all the New parts to start my conversion. 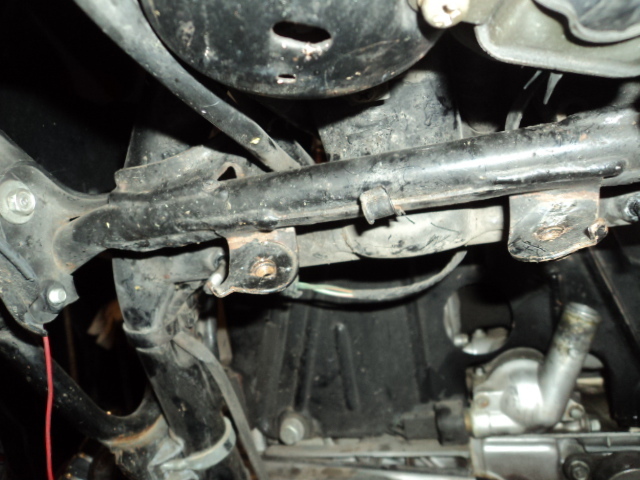 The first thing to do is take the seat, left crash bar, false tank, and radiator off the bike. 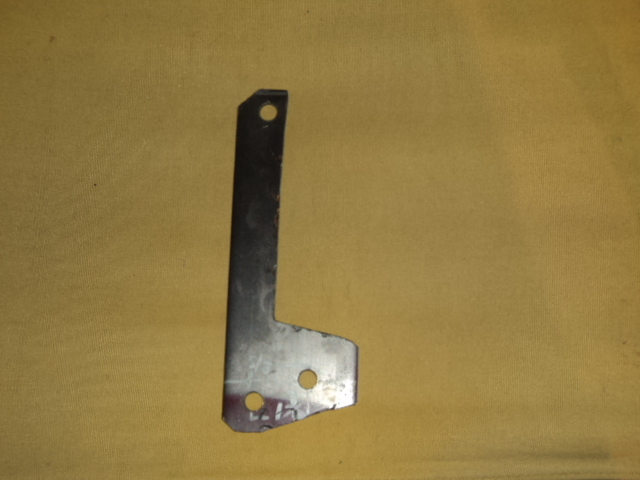 I made The lower alternator bracket out of some stock metal I had laying around. 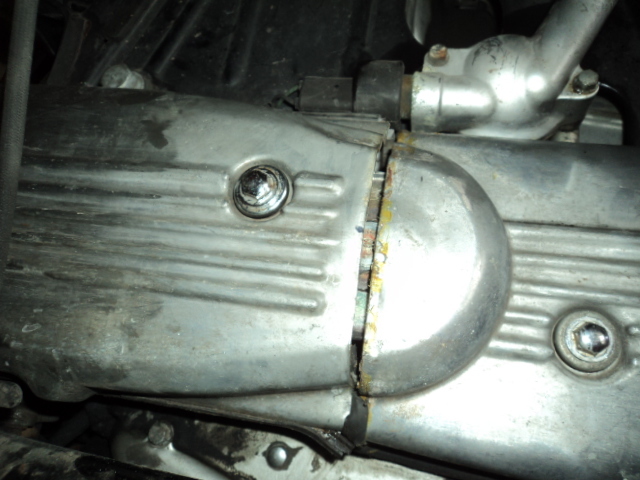 Lower brkt bolted by the engine bolt. 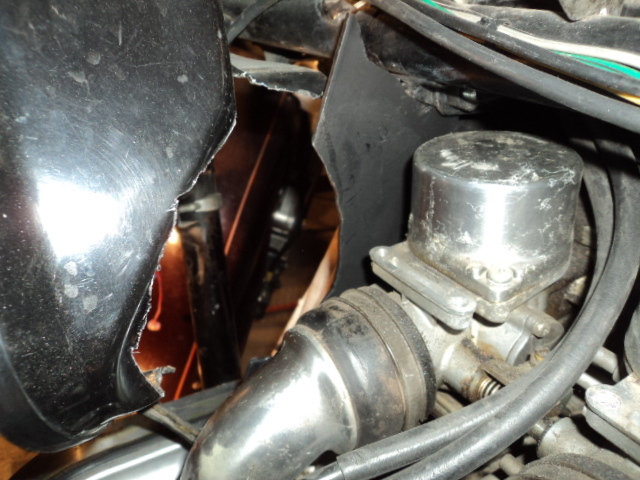 This shows the radiator removed and how far I bent the horn mounts out of the way. 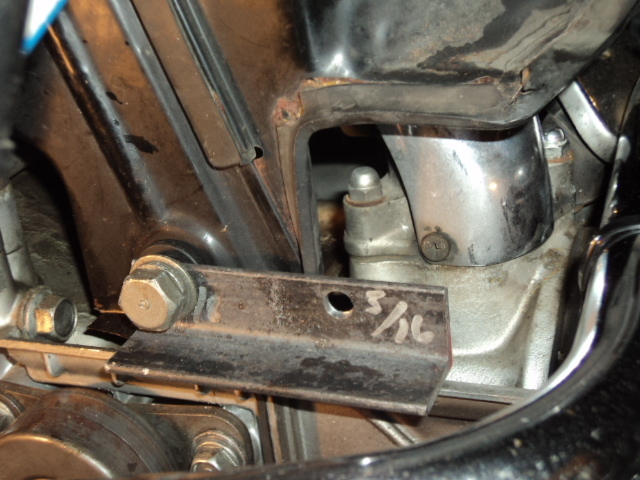 The center of the bolt marked for the pulley. 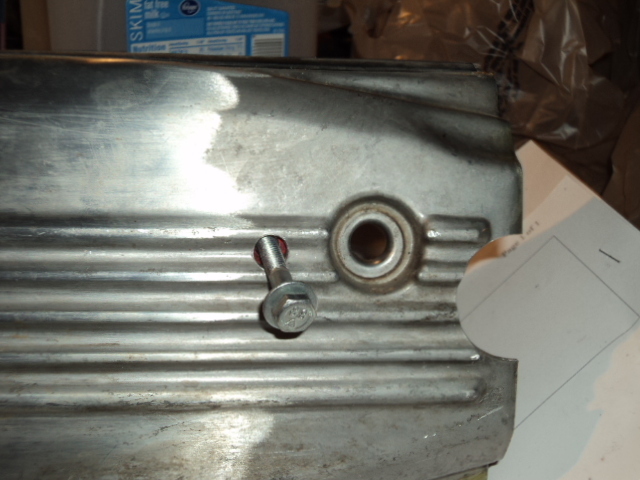 The hole saw used for the hole in the timing belt covers. 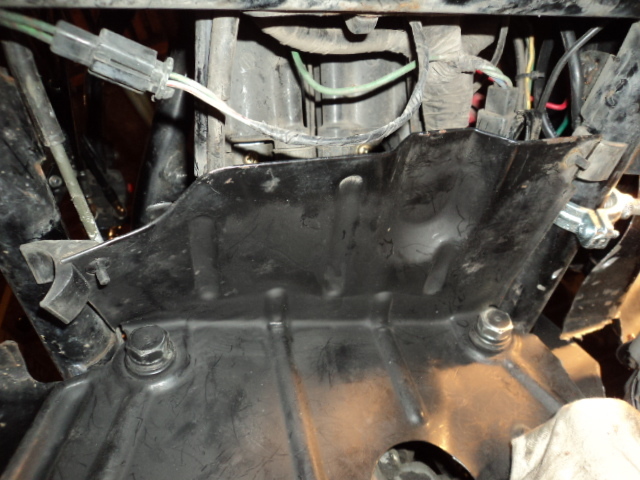 Make sure the gasket is removed before drilling. 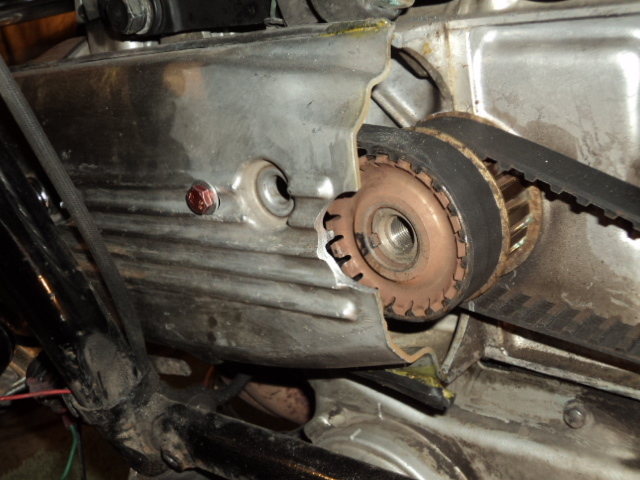 The hole for the pulley. 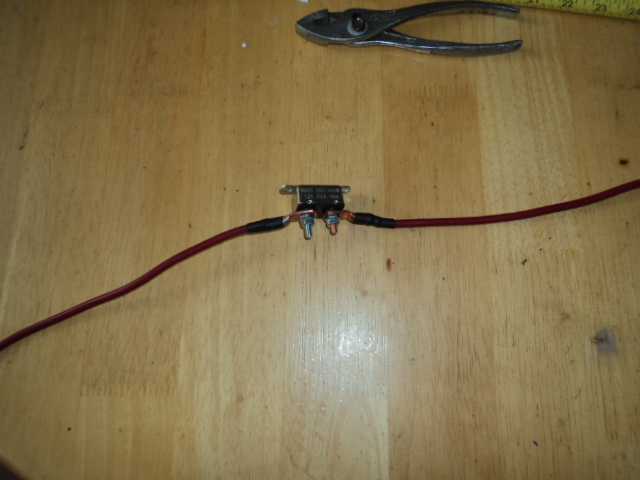 8 Ga wire with 40 Amp self resetting fuse before I Plastic dip it. 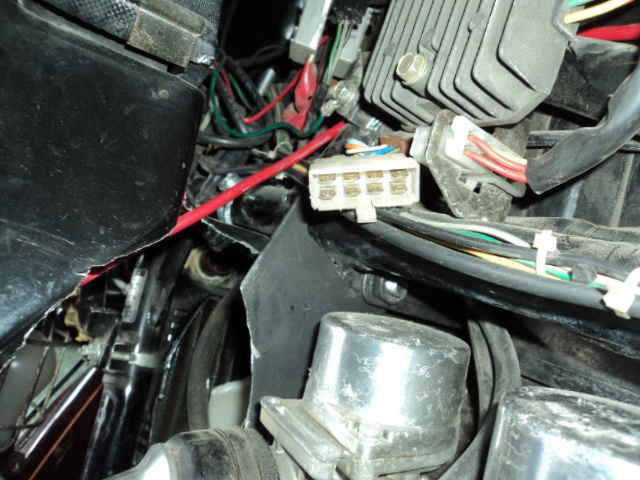 Routing of 8 ga wire from battery to alternator. 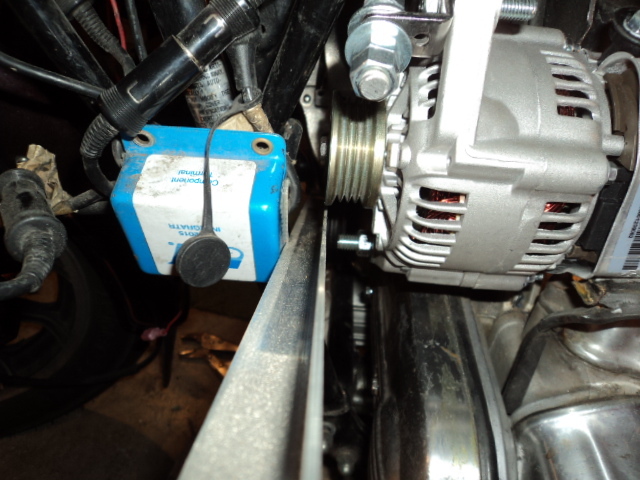 Lower brkt for alternator with bolt welded in place. I did not care for the first brkt. Lower brkt. 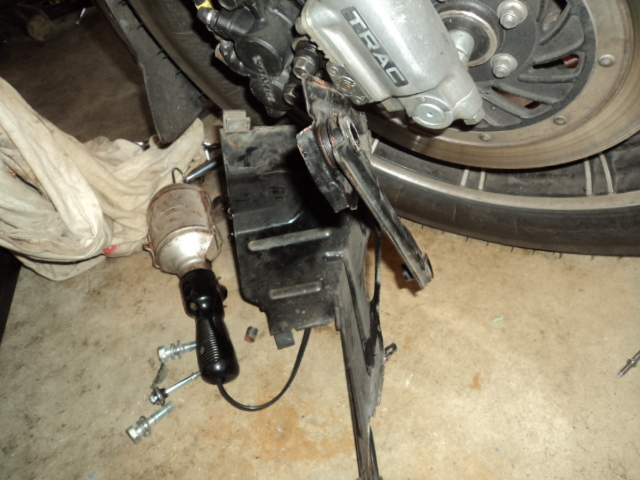 I took the heat shield off the bike. 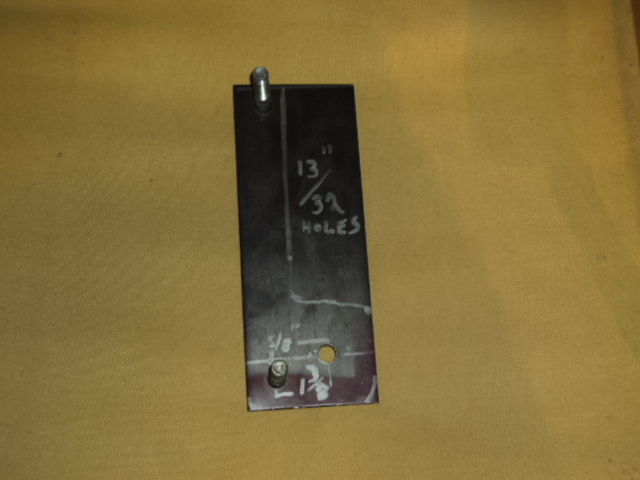 Using the vertical brace as a template for holes. 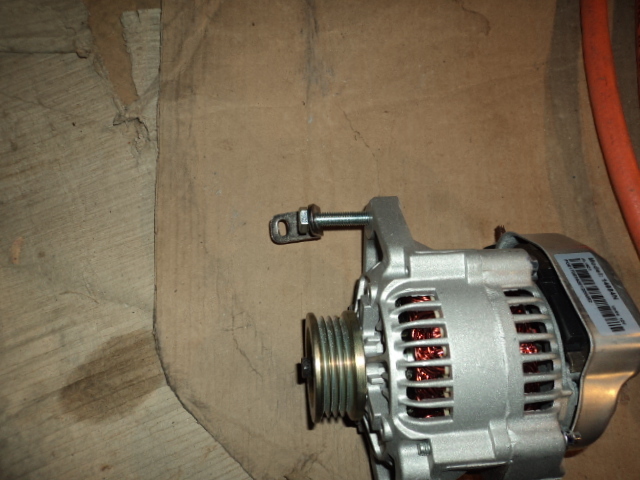 Alternator with the third leg sawed off. 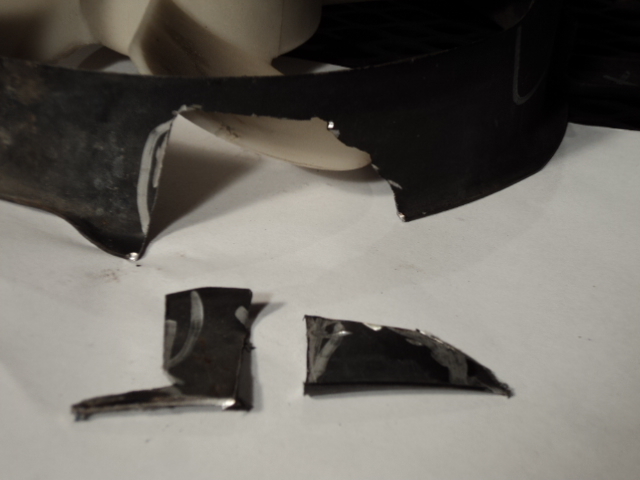 so it would cover some of the cutting of the heat shield. 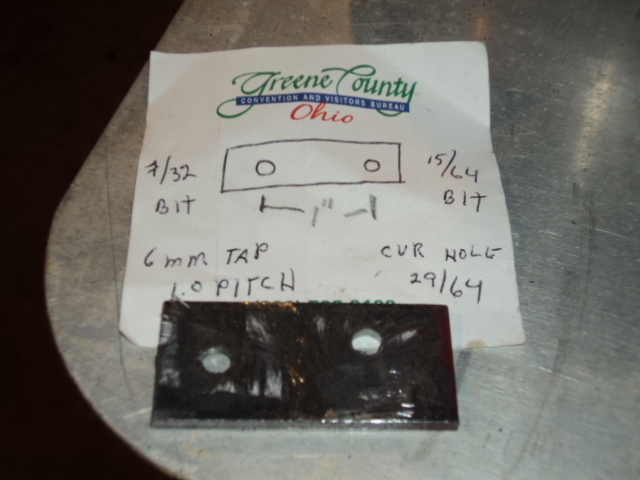 This is a plate to move the cover bolt over 1 inch so it will miss the pulley. Tap the left hole so a bolt will fit. 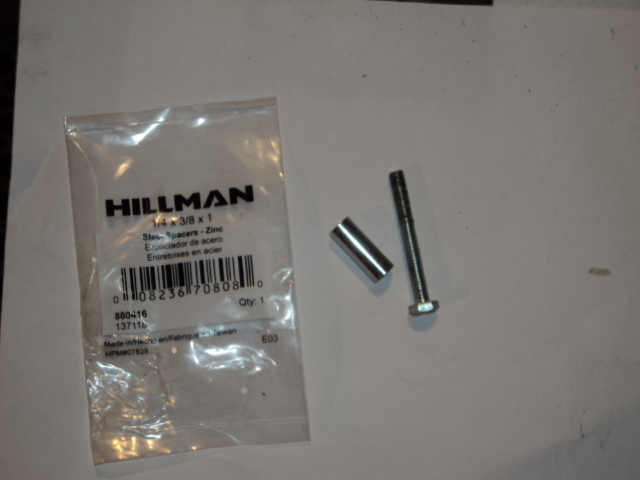 I used the cover bolt and cut it off. 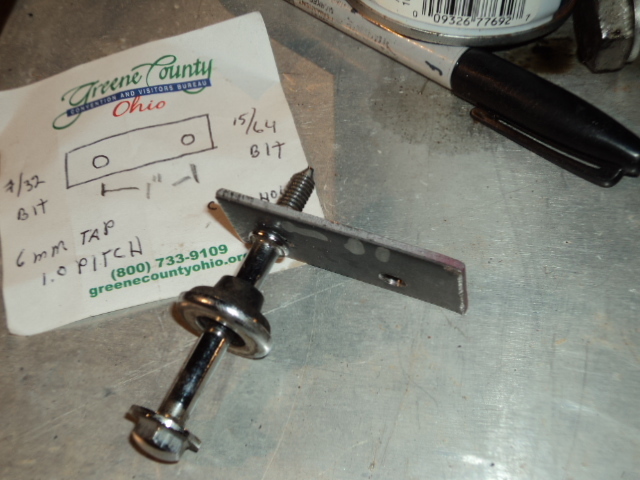 This plate is installed permanently to move the cover bolt over one inch. This is how it fits. I did not cover the old hole. to cover some of my over cutting. 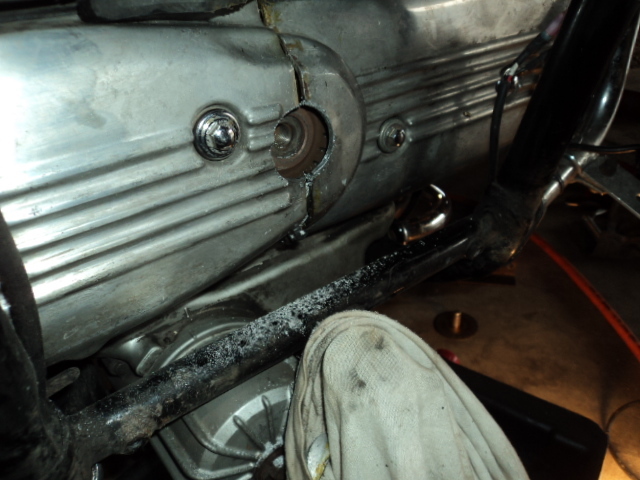 Looking at the heat shield cutting and lower bracket in place. Last edited by AZgl1800; 01-08-2017 at 07:18 PM. 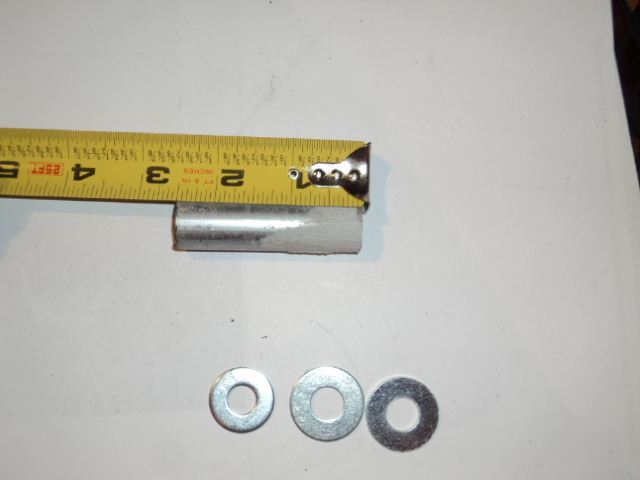 7/8 inch Hanger ring. 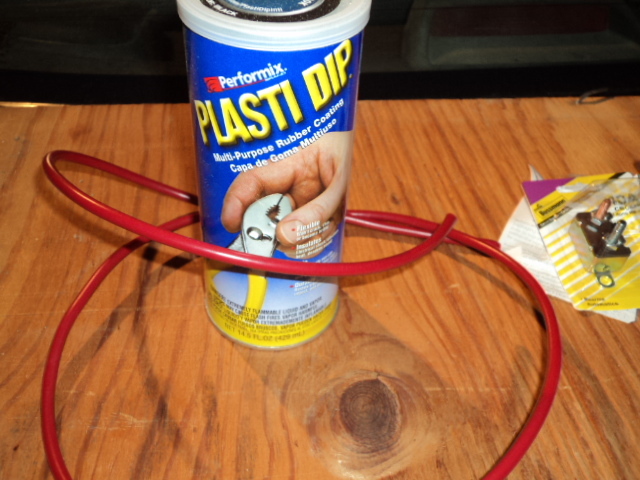 Can be found at Lowe's or any big box DIY store. You can see the hanger installed on the right. 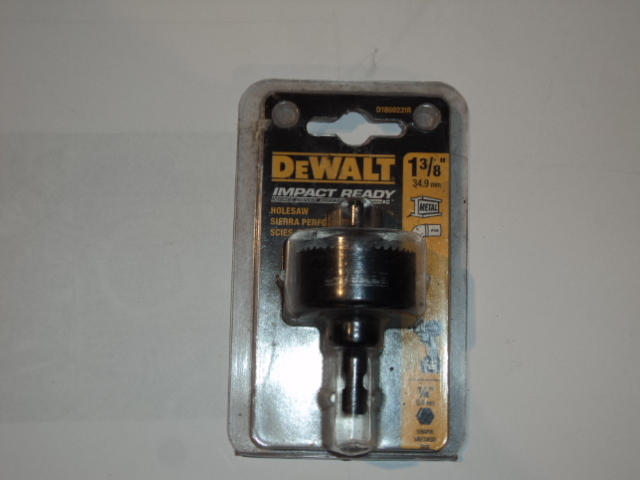 The spacer for the bottom of the alternator. 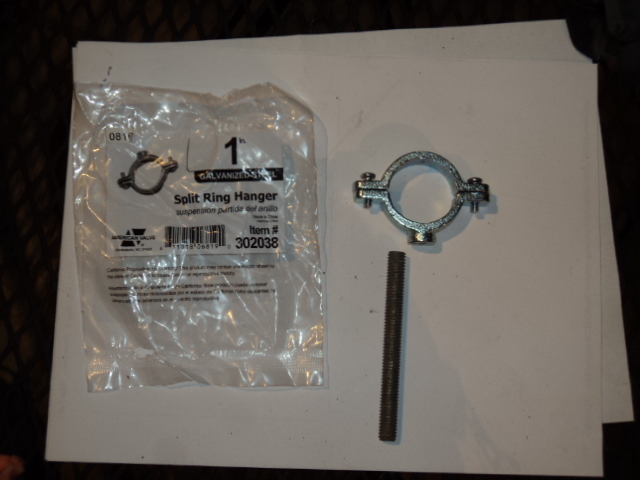 The hanger is used for the belt tensioner. I used thread all and nuts doubled to keep it from moving. 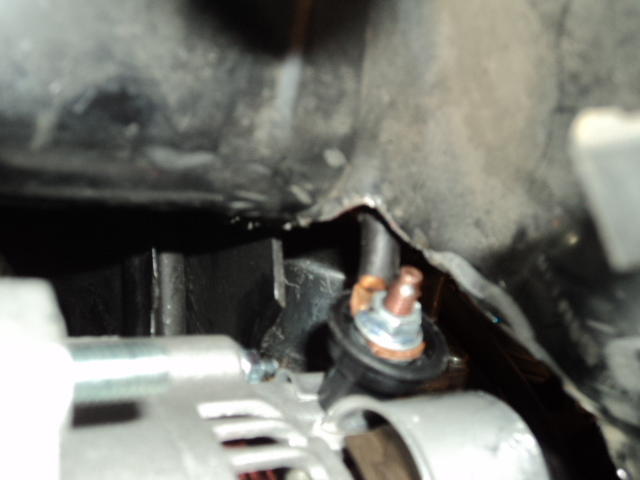 I did not try to make an arc as the alternator has very little room. 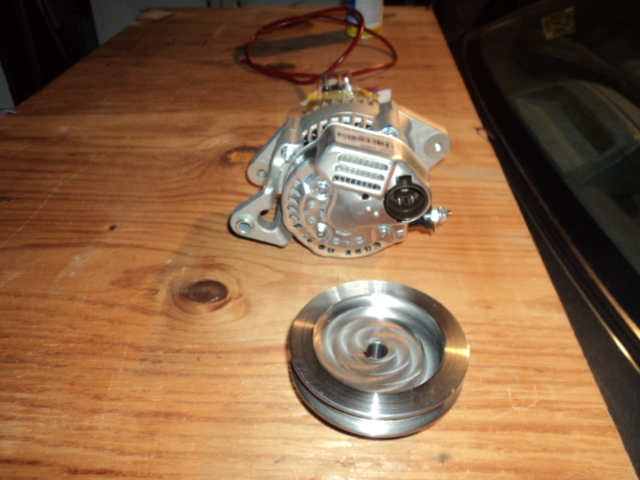 My previous alternator never needed altered after first install. Last edited by AZgl1800; 01-08-2017 at 07:19 PM. 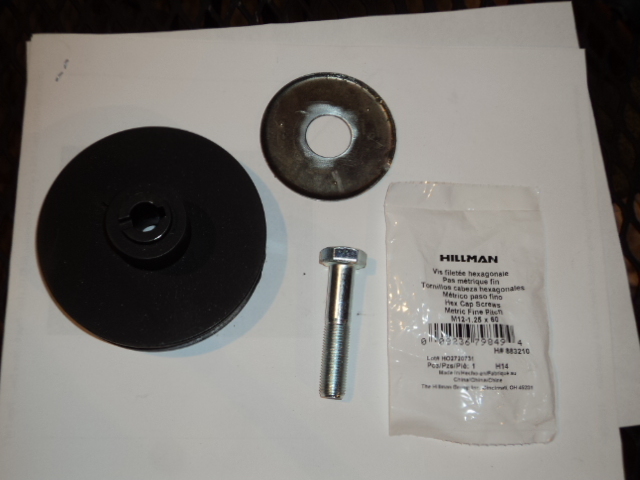 Pulley, Stock washer with hole enlarged, and 60mm bolt. 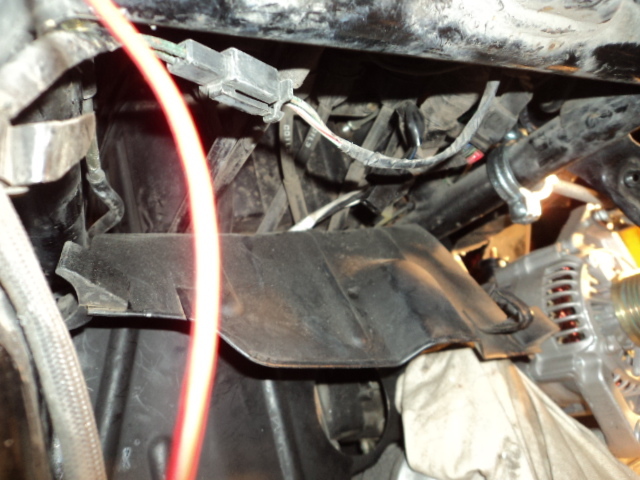 Belt installed. Tighten the belt to snug. 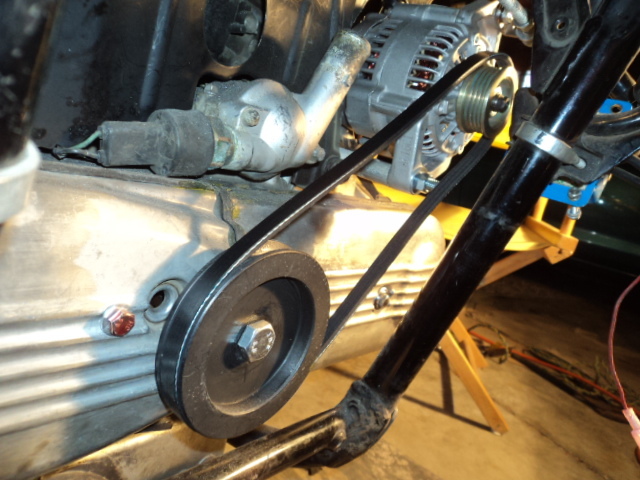 Clamp a straight edge on the pulley. on the bottom of the alt. 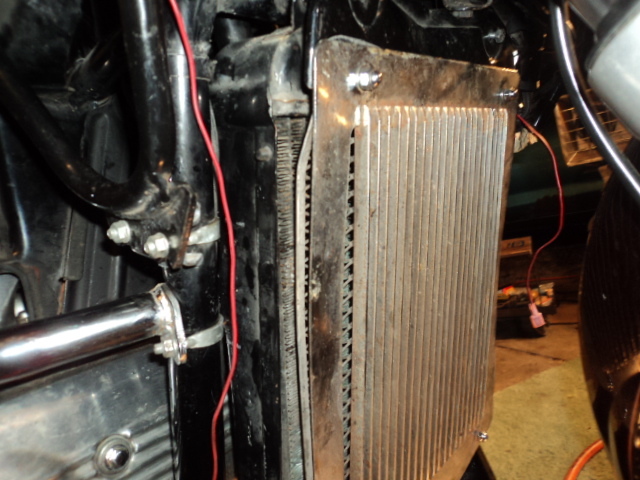 Radiator as it comes off the bike. 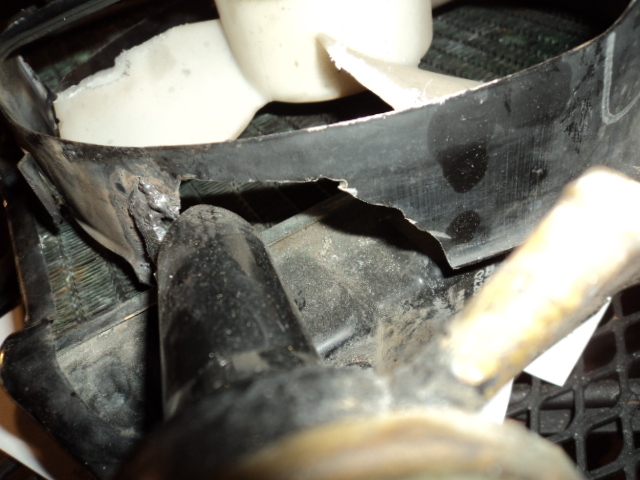 Shroud cut off by rad filler tube. I cut too much off the right side. 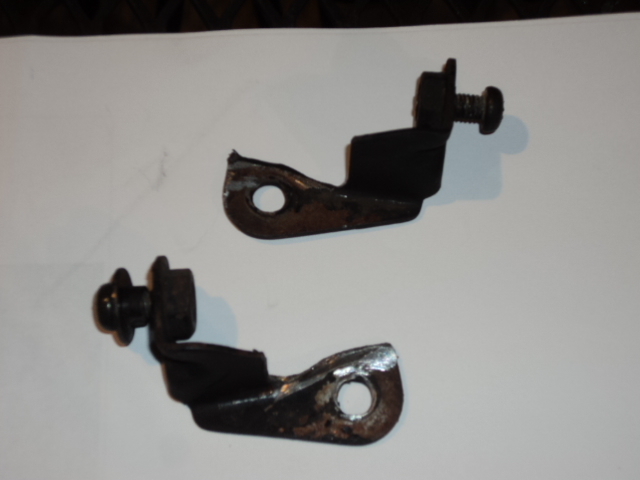 Both legs welded and extended. Blades hacked. 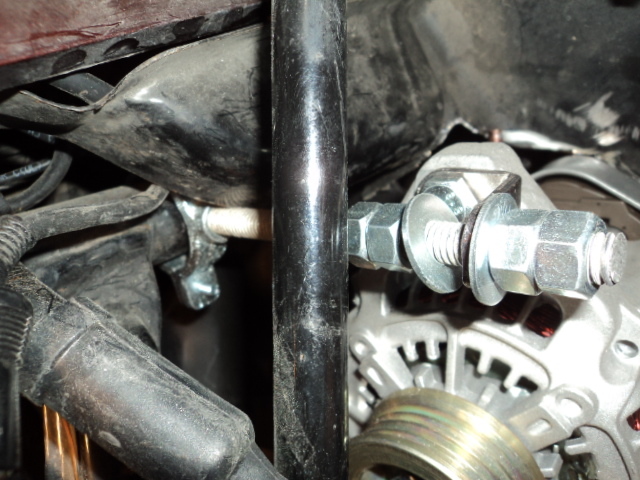 1 inch spacer for lower radiator. 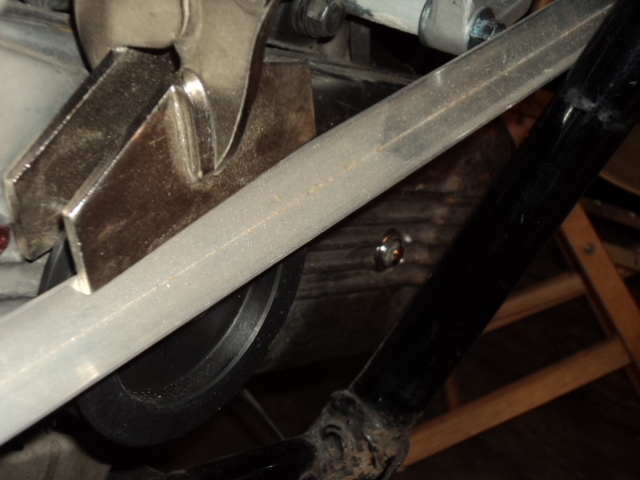 Rad in place using the spacer. 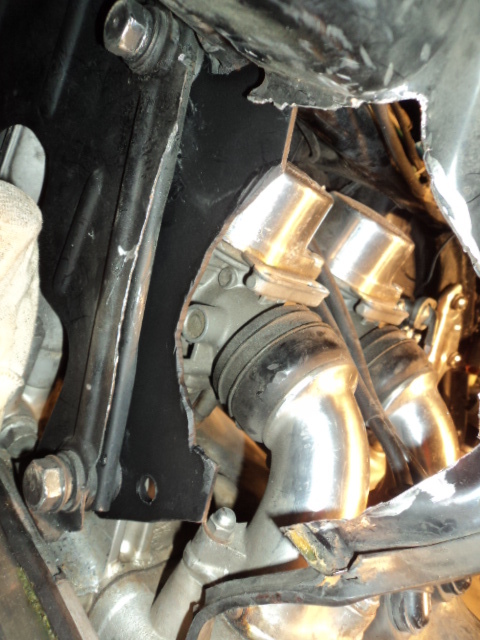 Do not forget to put the lower fairing brkt on. This pic I forgot to put the bottom radiator on. 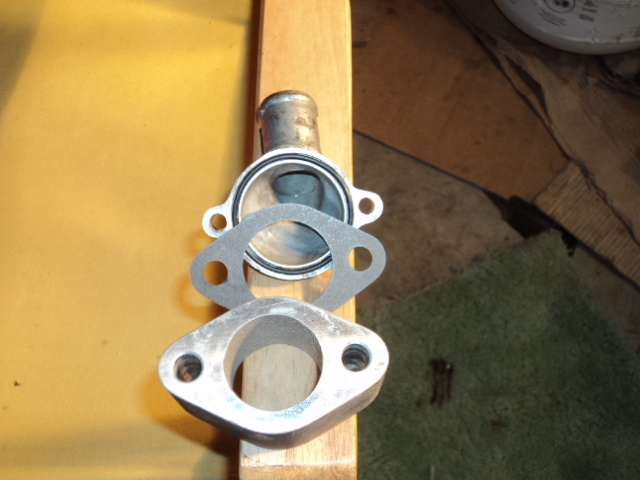 1 inch chevy truck spacer and gaskets. 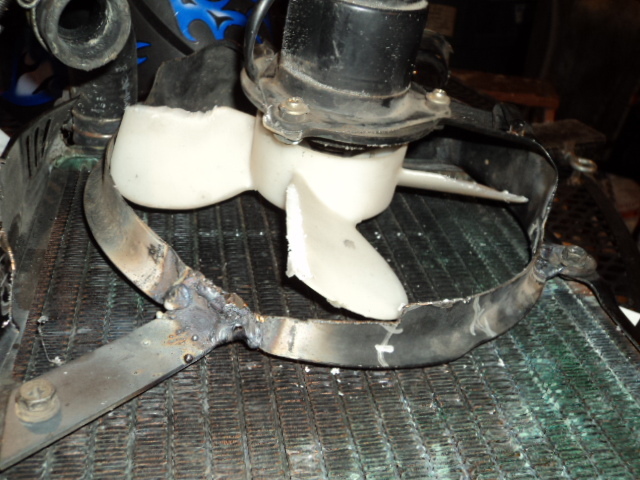 DO NOT FORGET TO PLUG THE FAN WIRE BACK TOGETHER. for a back up in case something goes wrong with the alt. 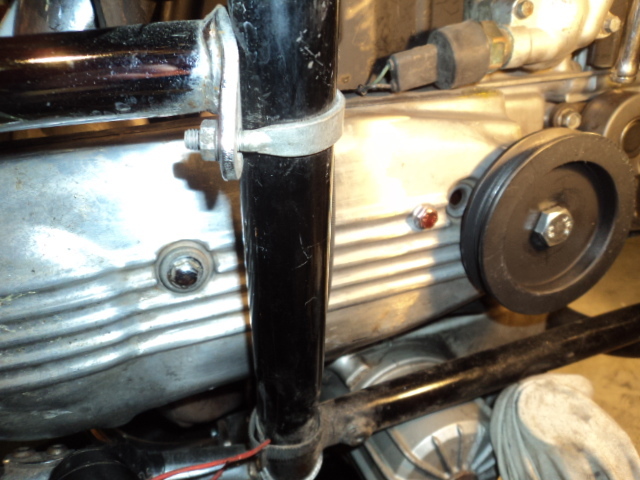 exciter wire for the alt. This plug is keyed to the ignition key. 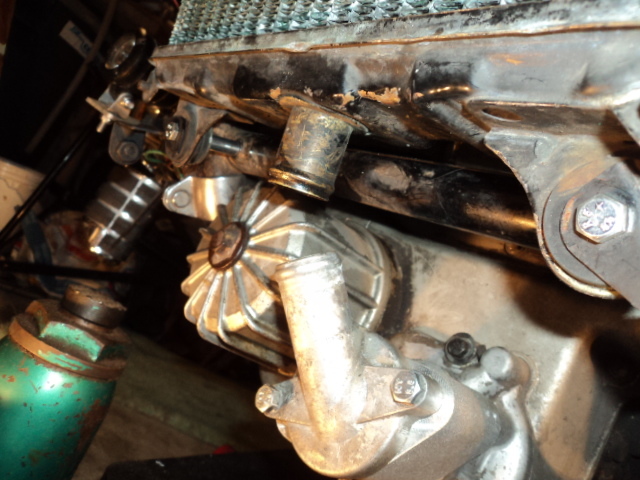 Fill your radiator with the correct coolant and enjoy. No plastic had to be cut. 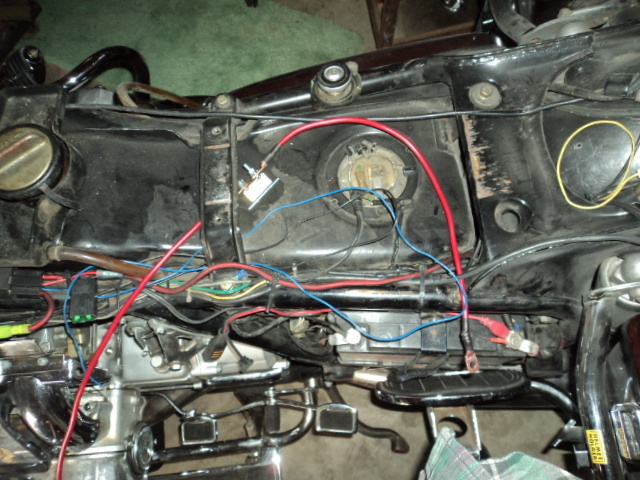 Now one can add any number of lights, Heated clothing, Gloves with out reaching the max amps. I am installing a second fuse box. I will be adding any new lights etc.. to this new fuse box. 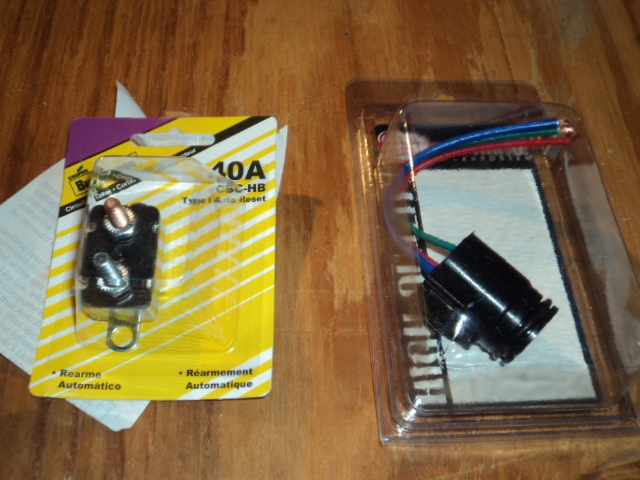 I think it will be better than using the 30+year old wires to put this new current to use. Hope you learned something here. 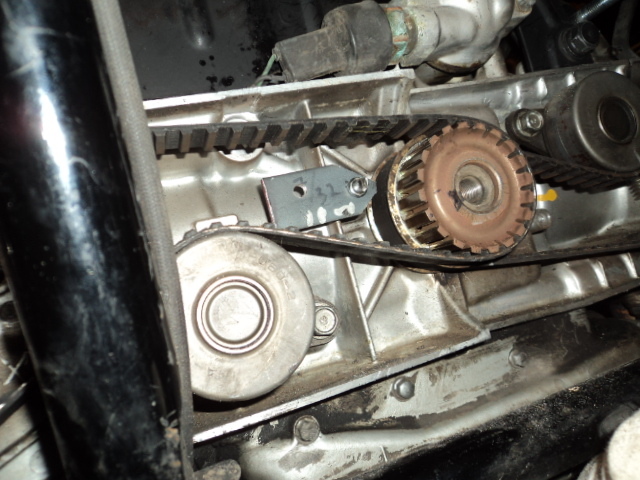 I had wondered if anyone put an alternator on an 1100. 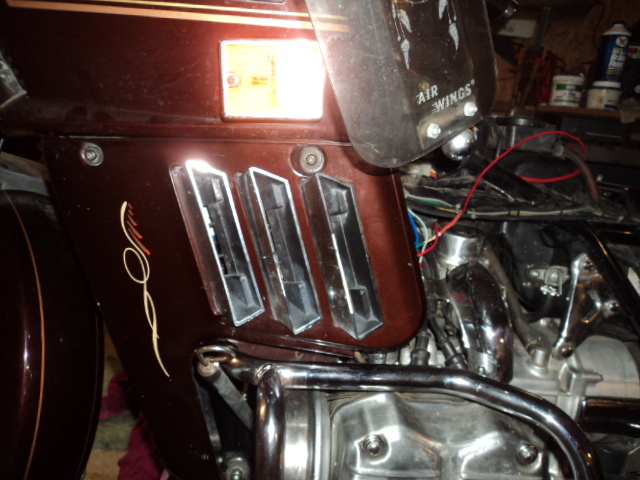 I put one on my 1200 and I wish I had taken pictures of the operation for the sake of other people who might want to make the mod. Thanks for doing that. I don't know what the key to success is, but the key to failure is trying to please everyone. Nice write up. Thanks for taking the time. It will be invaluable for my alt conversion project. wilcoy, I have a question for you about the 1100 install. I have read a lot about the poor boy conversion. 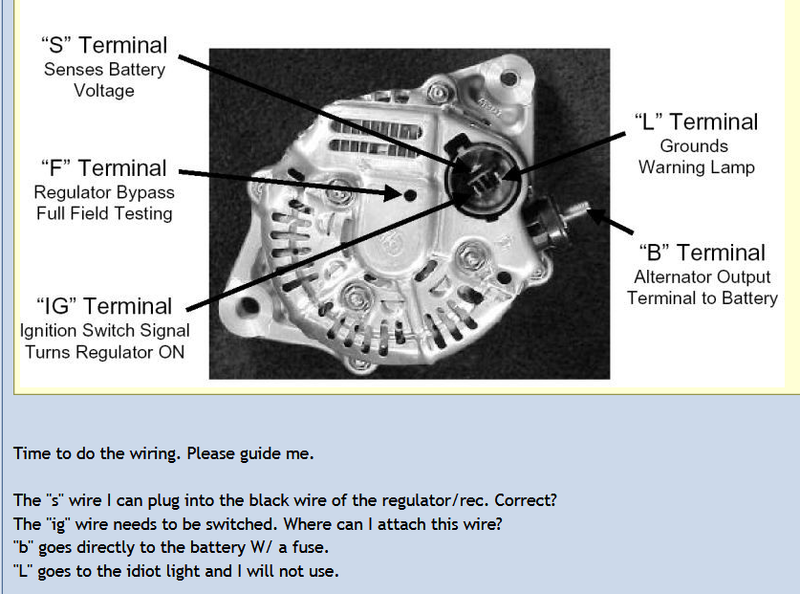 My question is, on the 1100, is there a reason that the alternator is installed on the left side and not the right side? 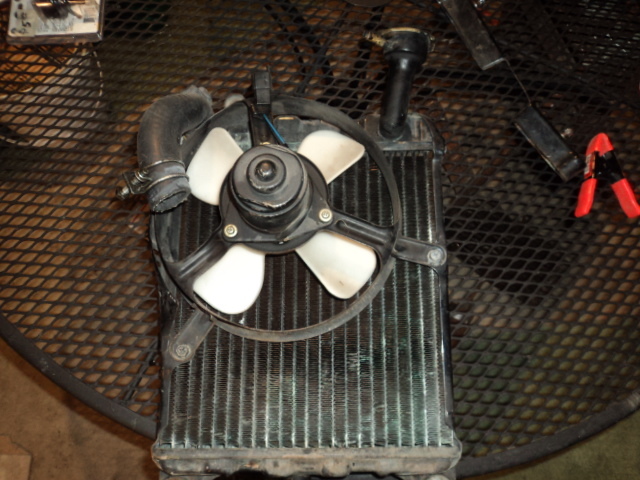 The reason I ask is that the radiator fan is already mounted towards the left side, if the alternator is mounted on the right side, the fan would not have to be moved nearly as much. 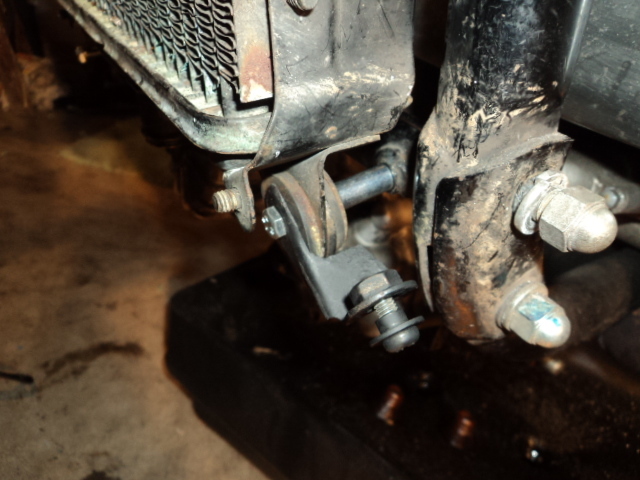 The only reason that I could think of for not mounting on right side is maybe the radiator neck would some how interfere with the alternator mount.